Point Shot: Radulov makes his return - The Point Data-driven hockey storytelling that gets right to the point. Tonight, Alexander Radulov makes his return for the Dallas Stars. Radulov has only played 7 games this season, missing 10 of Dallas’ last 11. However, when Radulov’s in the line-up he’s an absolute force. After a 72 point season last year, he came out firing this season with 11 points in 7 games before going down with a lower-body injury. He’s a player who plays with lots of jam and often uses his powerful frame to outmuscle opponents. He’s a power forward through-and-through. 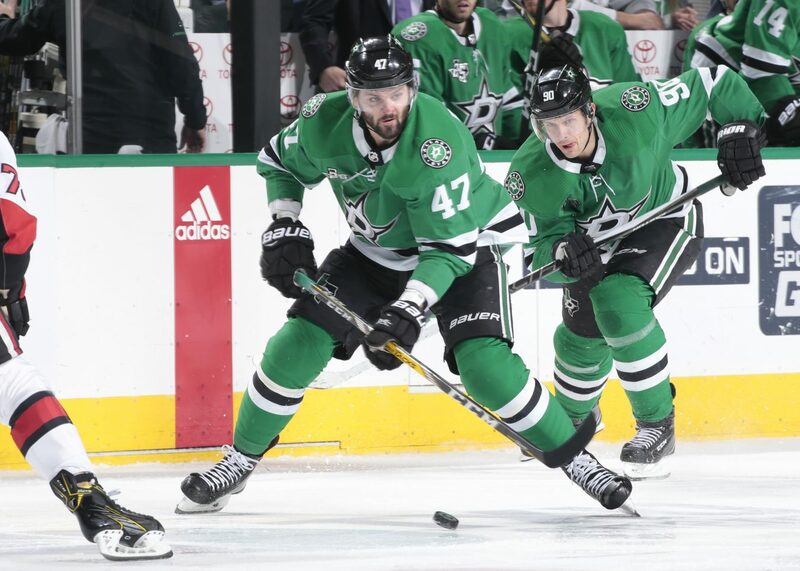 With Radulov in the lineup, the Stars can reunite their top line of Radulov, Tyler Seguin, and Jamie Benn who form one of the best lines in the league when deployed together. 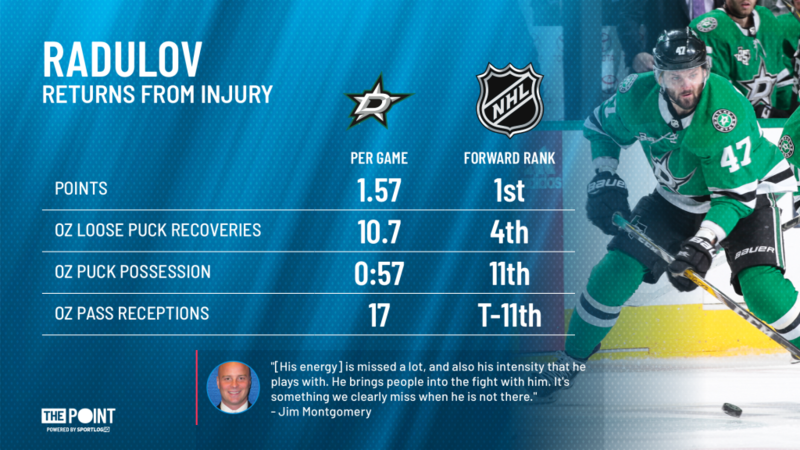 The Stars have been hit with the injury bug this year, recently losing their best defenseman John Klingberg, but getting Radulov back will be a much-needed boost to a team sitting in a wildcard spot.